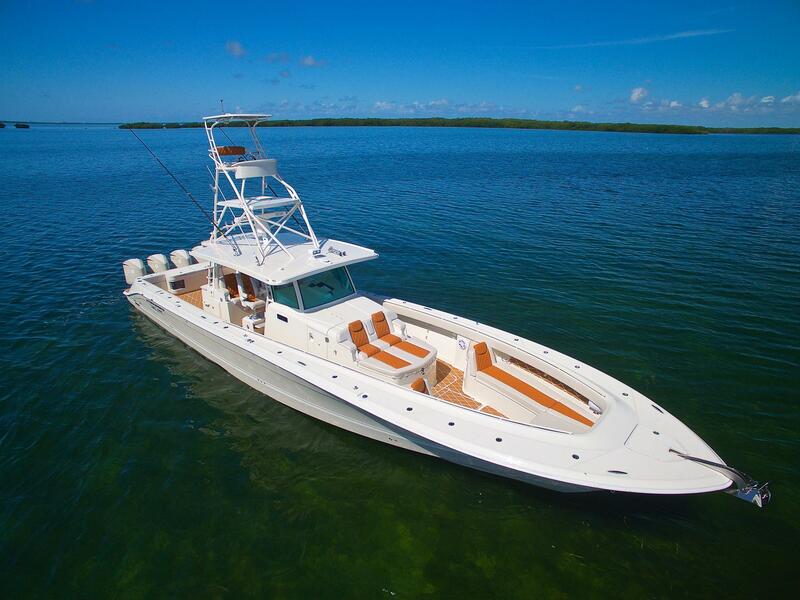 Hydra-Sports is an American boat builder with 40 years of experience and innovations. 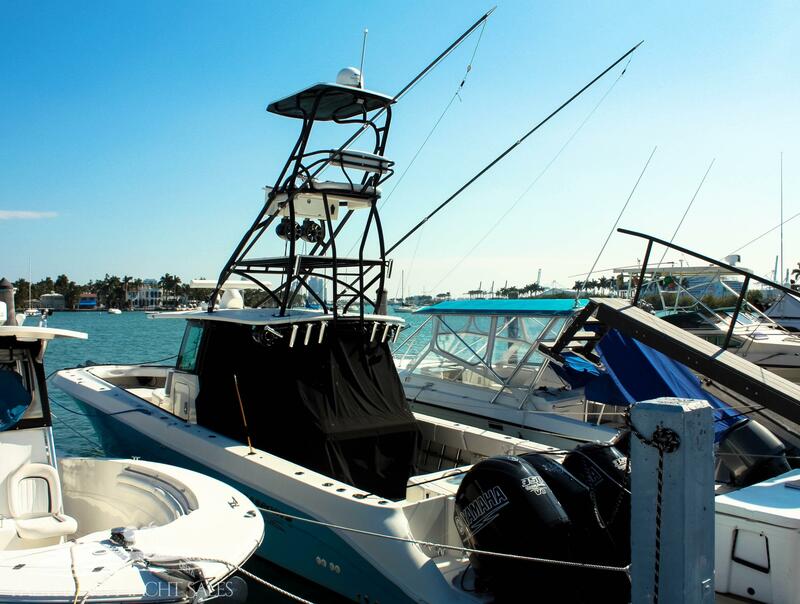 Hydra-Sports’ first center console boats were the first offshore hulls to use Kevlar. 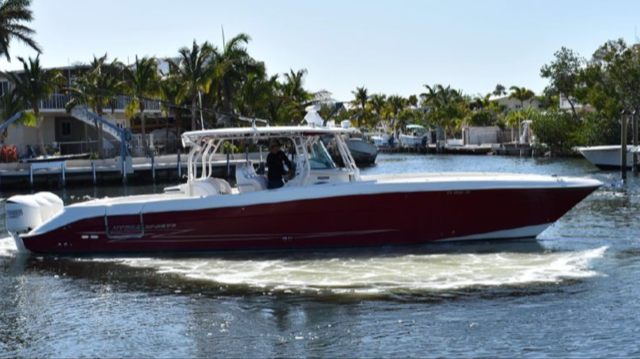 Hydra-Sports custom sport fishing boats combine convenience and comfort with optimal fishing features such as livewell flows and insulated cool compartments and comfortable accommodations for boaters. Worth Noting: Now known as HCB Center Console Yachts, the company makes the world's largest center consoles that offer fishability and yacht-like amenities. 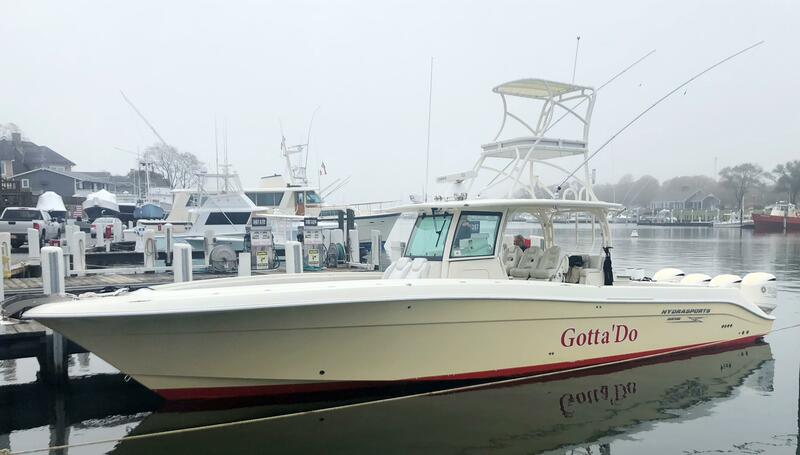 Hydra-Sports Vector 2900 2006 - Current 29' 0" 9' 8" 1' 10"
Hydra-Sports 2900 VX 2005 - Current 29' 8" 9' 8" 1' 10"
Hydra-Sports 3000 CC 1997 - 2000 29' 5" 8' 7" 2' 8"
Hydra-Sports 3000 CC 2012 - Current 29' 8" 9' 8" 1' 10"
Hydra-Sports 2800/3100 Sportfish 1992 - 1998 30' 1" 10' 7" 2' 3"
Hydra-Sports 3300 Sport Fisherman 1989 - 1992 32' 11" 9' 6" 1' 6"
Hydra-Sports Vector 3300 2002 - Current 33' 0" 10' 4" 2' 0"
Hydra-Sports 3300 VX 2005 - Current 33' 0" 10' 4" 2' 0"
Hydra-Sports 3300 CC 2003 - Current 33' 5" 10' 4" 2' 10"
Hydra-Sports 3400 CC 2012 - Current 33' 5" 10' 4" 2' 0"
Hydra-Sports 3500 VX 2008 - Current 34' 8" 11' 6" 2' 0"
Hydra-Sports 4100 VSF 2008 - Current 41' 0" 12' 2" 9' 2"
Hydra-Sports 4200 Siesta 2012 - Current 41' 7' 12' 2" 2' 0"
Hydra-Sports 4200 Siesta 2014 - Current 41' 7" 12' 2" 2' 0"
Hydra-Sports 5300 SueÃ±os 2014 - Current 52' 11" 13' 0"
It is a 40-year evolution. Share and profit from Hydra-Sports' 40 years of boat living and building. They openly share their evolution with you; from the design and engineering to the distribution leading up to where they are today. Their first center consoles were literally 'firsts' in many ways. First offshore hulls to use Kevlar. First center consoles to fish against the traditional sport fish inboard boats in the offshore tournament circuits. 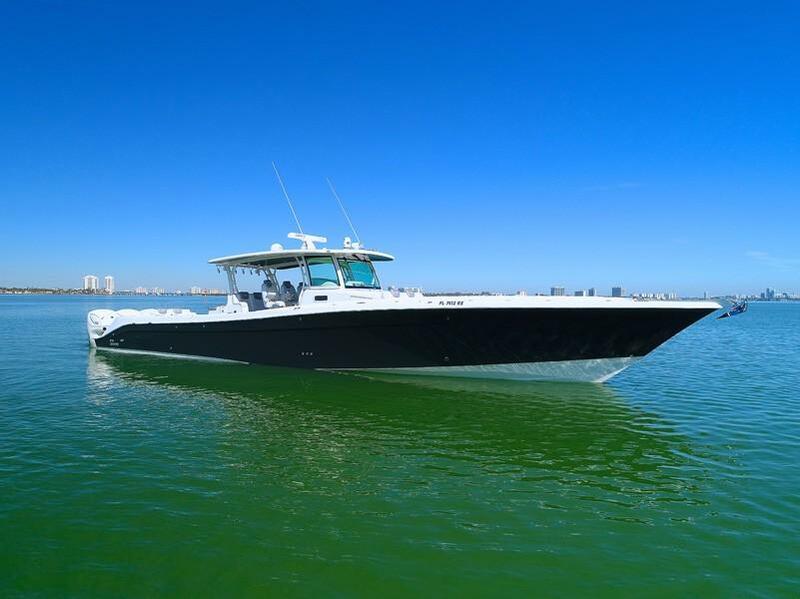 First with high horsepower ratings and huge fuel capacities to be coast guard approved. Seaworthy, light, fast, best ride on the water - these were their battle cries. Hydra-Sports has always been known for "No Compromises." Their livewell flows keep baits alive and frisky, insulating fish boxes, rod holder placements, engine centers, toe rails, precise rigging and wiring, installing electronics and delivering a turn key package. In the last four years Hydra-Sports realized they had been more concerned with the comfort of their bait and catch than their customers. Their bait and fish were riding in insulated cool compartments while their customers were sitting on beanbag chairs. While still keeping all the angling appointments correct and the balance and ride correct, Hydra-Sports now concentrates on their customers' comforts: styling, dive doors and the sleek look of our current models. The results are obvious to see and feel in the most thought-out, beautifully finished, most comfortable angling correct boats in Hydra-Sports' 40 year evolution. 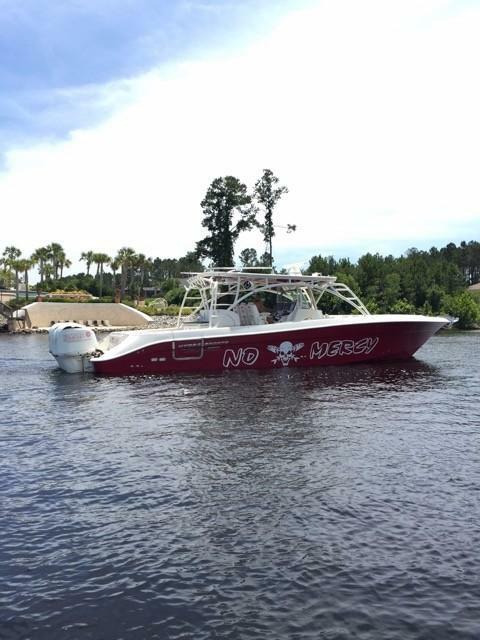 You can tournament fish on Saturday, then cruise with your families on Sunday ----- perfect.